I went into school to organize my 2-D flat shape centers for the upcoming week. 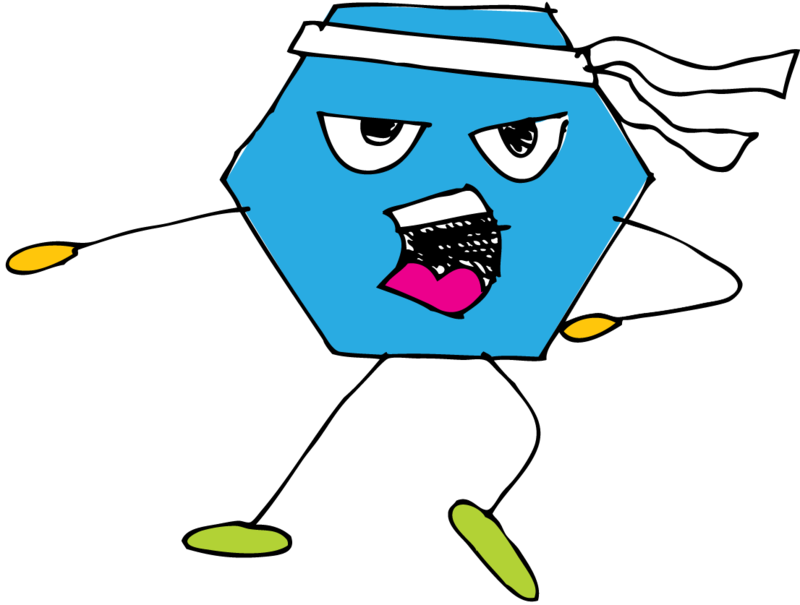 This week is going to be a lot of modeling with the students. 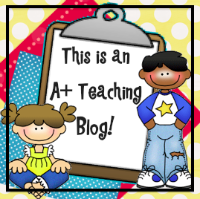 I am going to model 2 centers each day so that the students understand what I want them to do at the centers. 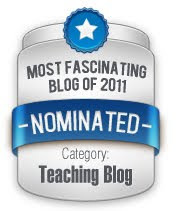 Our district uses Growing With Math series, so I will also be implementing this also during my math time. We started August Math Journals last week which is a concentration of writing numbers. 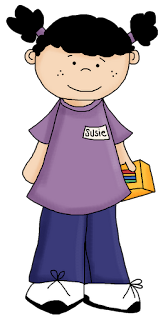 I am going to start our September Math journals on Tuesday of this week. A lot of math is planned for this week, but I think the kids will love the hands on activities that I have planned for them. 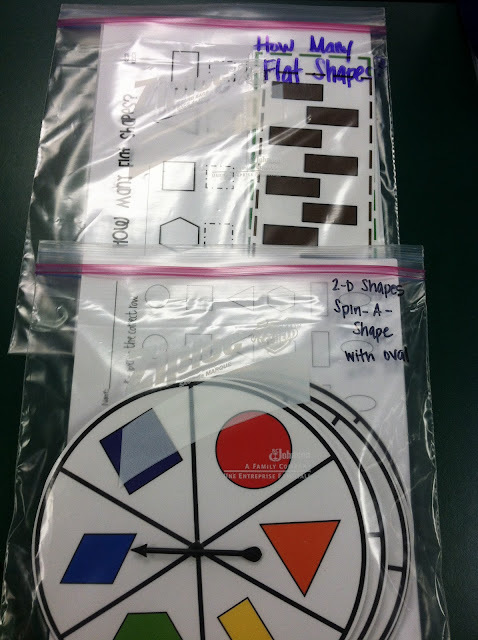 Here are the centers and some 2-D flat activities that I will be doing this upcoming 4 day week. 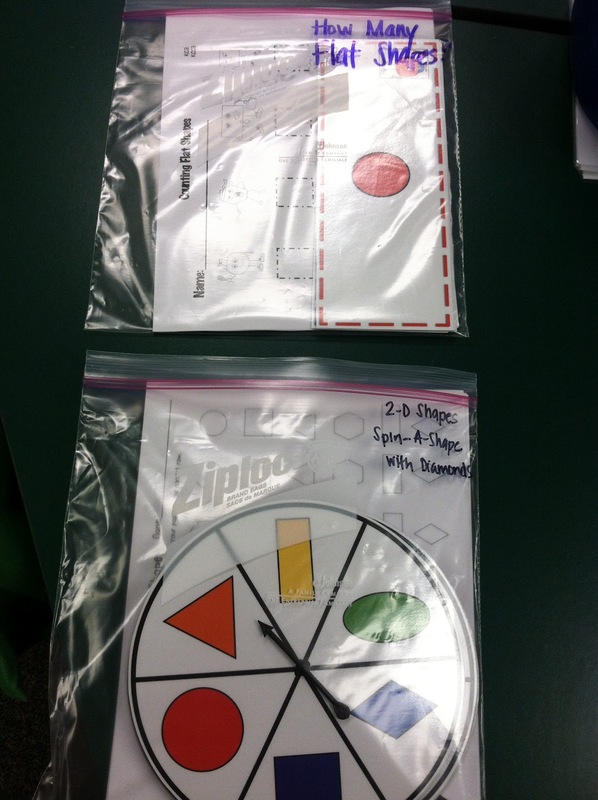 These 2 centers are counting 2-D shapes and spinning/graphing 2-D shapes. 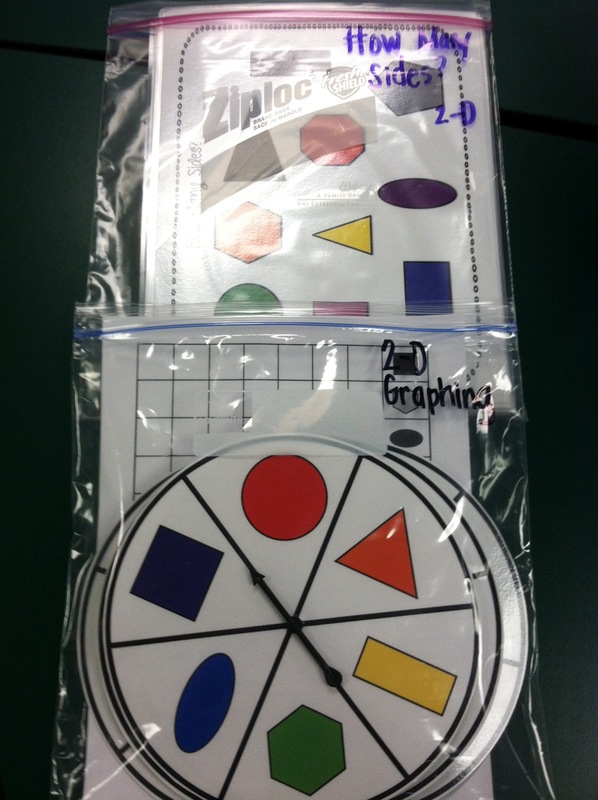 Students will also say the names of the shapes they are counting and graphing. Another 2 centers that the students will be introduced to this week with the same review as the above 2 centers. Counting the number of sides and graphing/naming 2 -D shapes are the focus on these 2 centers. Graphing/Naming 2-D shapes and Counting the number of corners are the goals of these 2 centers. 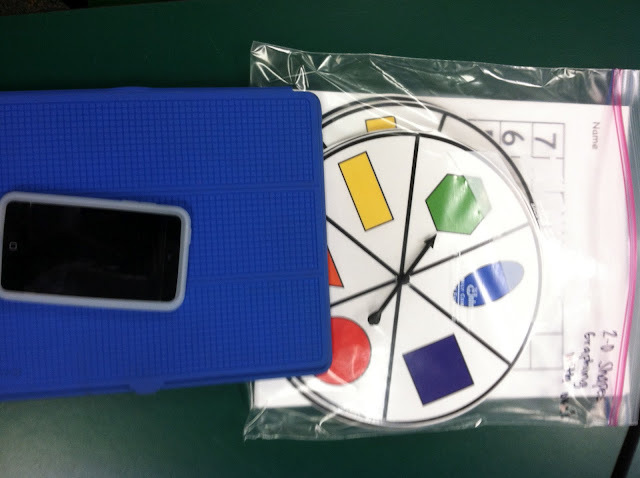 Using ipods/ipads and graphing/naming 2-D shapes are what the students are going to be doing at this center. Here is what I store my centers in for the week. The M stands for the word Math and the number is the number of center that they go to for that specific day. So, here is what the 2 drawers look like for the first center. Each day the students do 2 centers. Usually 1 is something that I will "grade" and the other is something that I look at, but is "endless". Endless means that they should be able to play and play the game and never get done!! 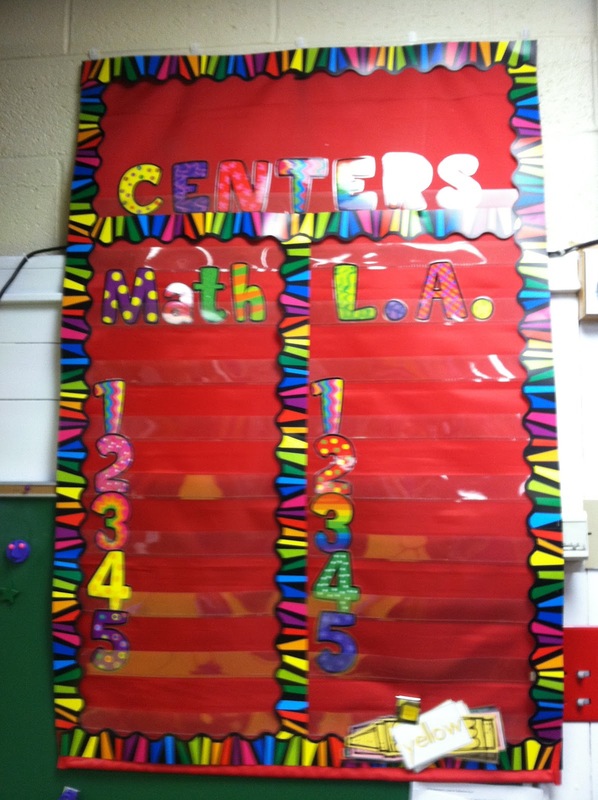 Here is what my new version of my center organization looks like for this year. I have to make the table color cards yet to move each day. 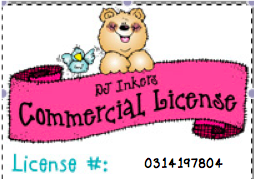 I will have those made by Tuesday so that I can share them with you. 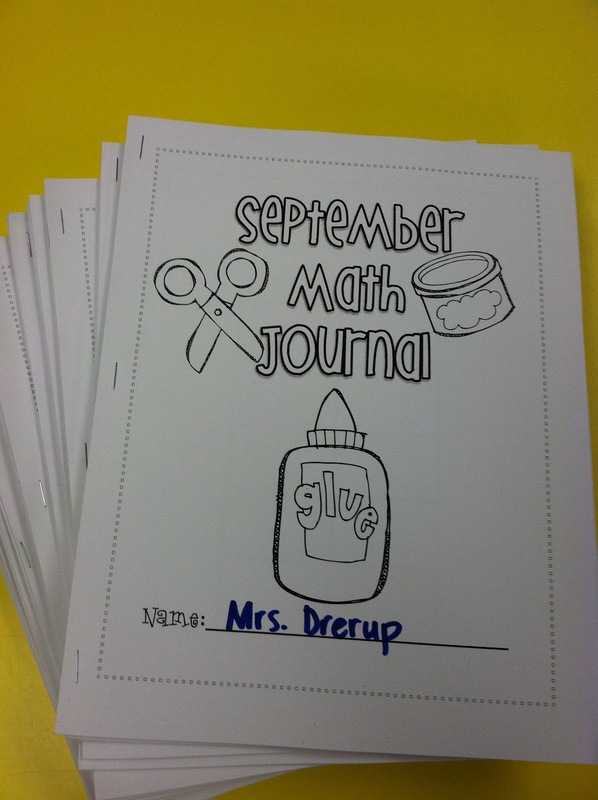 Here are the September Math Journals that are all ready to go!! Additional 2-D shape resources that I will be doing this week and next week with the students. 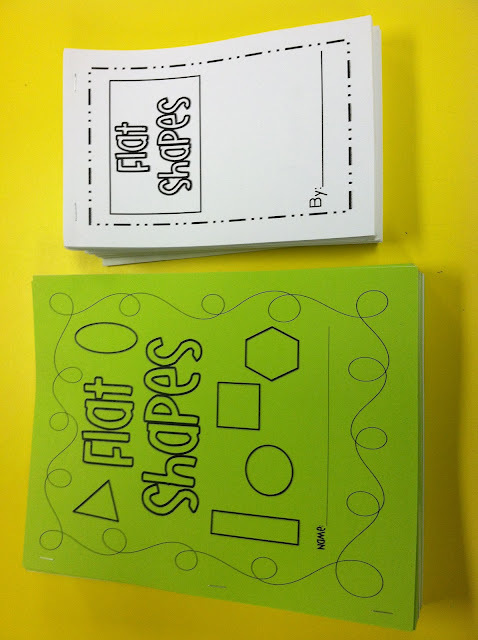 Shape Booklet contains both 2-D and 3-D shapes. 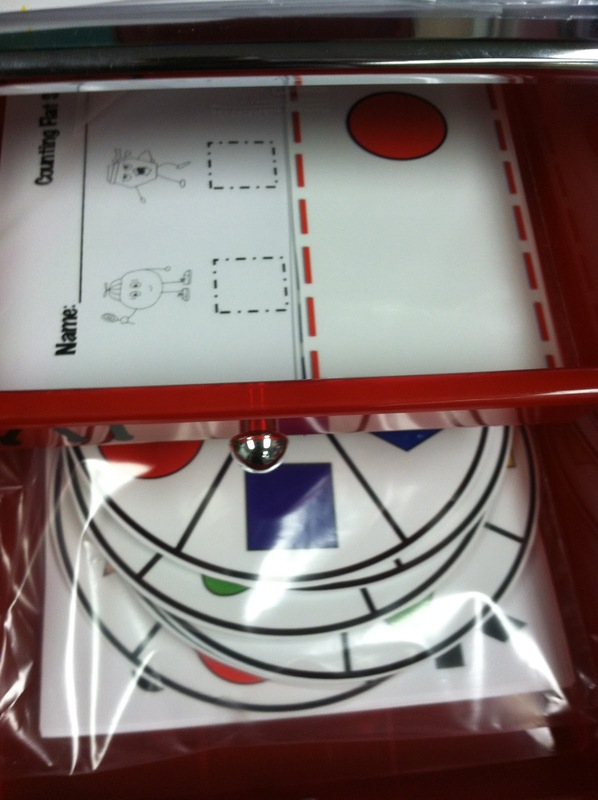 Shape Posters contains 2-D shape posters to use around the room or as a booklet to review shapes each day. September Math Journal For Back To School to be used each day of the month. 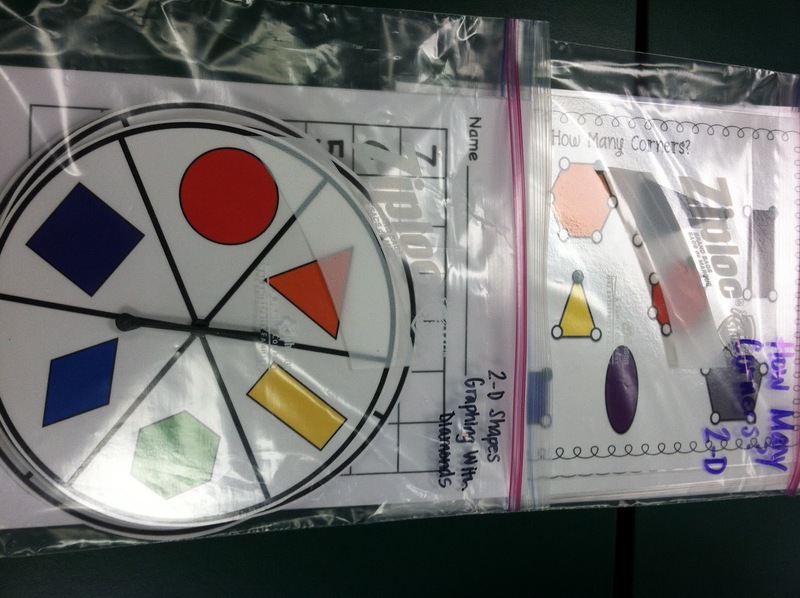 Flat Shape 2-D Unit this unit is packed with tons of whole group, small group, and center activities that focus on the new math standards. 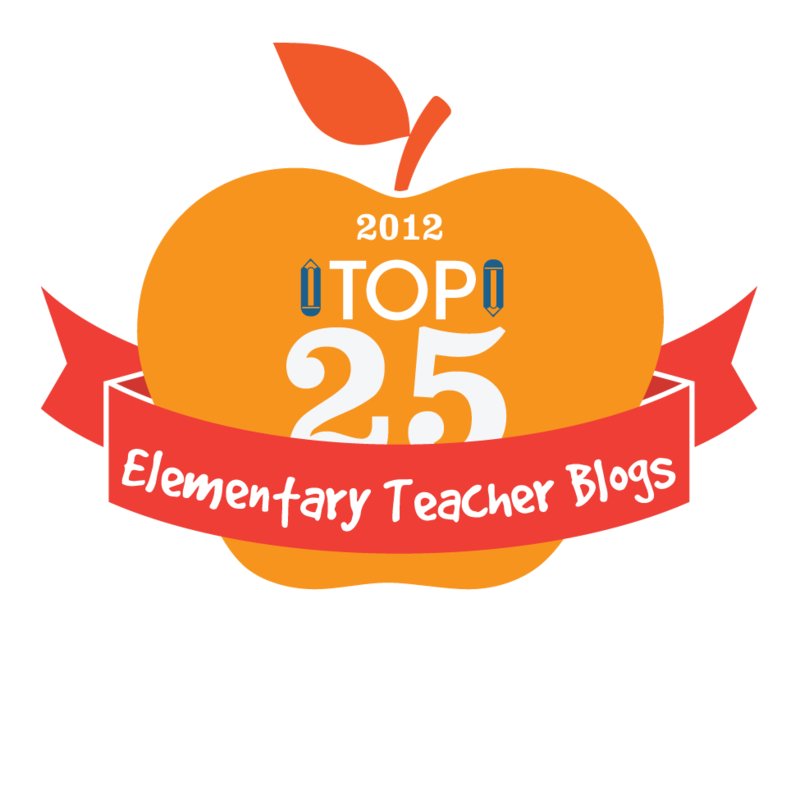 This week I will also focus on my September writing packet. 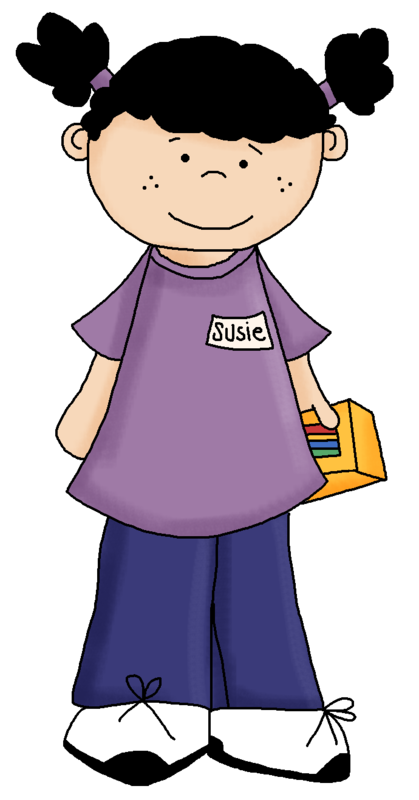 I started writing with the kids on the first day of school and will be sending the August Writing Packets home this week. I will share samples with you before I send them home. I have the exact same cover on my IPad! 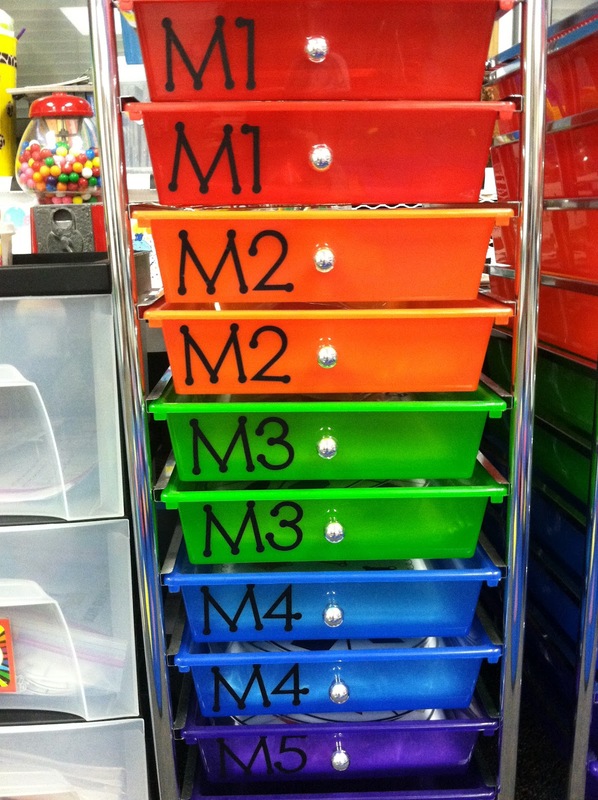 Love your drawers for math centers!!! You have some great stuff here! I love your math centre set-up. Thanks for sharing. 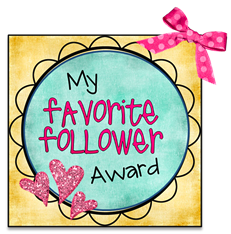 I continue to follow you! You are amazing! I like how the centers are in ziploc bags! One question about the DIBELS homework and the skill rings-did you send it home already? We just did DIBELS testing and wanted to give parents some ideas to do at night. The home work-do they send it back everyday? Thanks so much for your great pictures!Have a good week! I LOVE your organization for the stations. Great idea! Pinning! 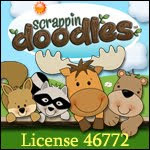 Maryann~I sent you an email to answer your questions. Wow! I love how organized your math stations are! Inspiring! I'm definitely still working on organizing mine! 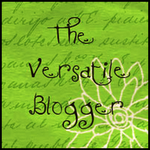 I just became your latest follower!